“Wisdom is seeing with God’s eyes.” – Pope Francis. Scripture and the Tradition of the Catholic Church provide an abundance of wisdom, though it can often be challenging to apply it to our lives. 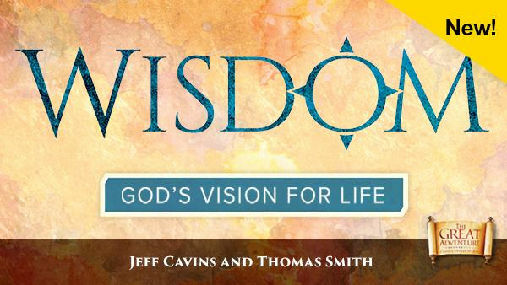 To help you learn to gather and live with greater wisdom, we will begin Wisdom: God’s Vision for Life on Monday, February 4th at 7:00 pm in the Convent. We plan to meet at 7:00 pm every other Monday for 8 sessions of approximately 2 hr. each. Our planned schedule is 4-Feb, 18-Feb, 4-Mar, 18-Mar, 1-Apr, 15-Apr, 29-Apr, and 13-May. Based on the pastoral commitments of Fr. David we may need to adjust the plan. Attending the whole series would be best but each session covers a different topic. If you miss a session, you can watch the video on-line at the Ascension Press website and read the journal. While the journal has the discussion questions, you will miss out on small group discussion. At least you get the gist of the session. To register, please call (674-2374) or email the Rectory (rectory@14hh.org). If you register by email, please put “Wisdom” in the subject line and include your name, phone number and preferred email. There is no cost to attend the study. For more information, visit AscensionPress.com, You will not only benefit personally from being part of this study; you will also help us to grow in fellowship as a parish as we grow closer to Christ together. Wisdom invites you to experience the transforming power of taking time to apply God’s wisdom to your own life. You will learn to see with His vision. You will experience the peace of knowing God cares for you, and you will see how God—and only God—can show you a path through any circumstance. 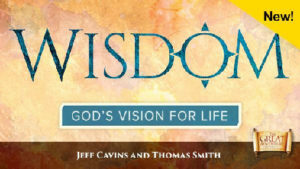 Participants of Wisdom will receive a journal and will meet every other week to view an engaging video presentation followed by a time of lively group discussion and fellowship. The eight 30-minute videos, presented by Jeff Cavins, will guide you through a variety of themes drawn from the wisdom literature of Scripture. Jeff will explain Scripture’s wisdom on decision-making, finances, relationships, peace of mind, and speaking to one another and will look at the beauty of wisdom gained through age and at how Christ Himself is the embodiment and fulfillment of all wisdom.